Steve’s breakdown: Bookable has a great idea and we think consumers would be a great target that they are totally missing. SEATTLE, WA: With rising home prices breaking records throughout the Puget Sound area, affordable housing can be hard to come by, and building a new home can be a long and complicated process. Blokable hopes to help ease those housing problems with affordable, stackable smart homes. Aaron Holm founded Blokable in 2016 with the aim of creating more affordable housing by manufacturing move-in-ready units. Blokable’s business development, design and technology teams are in Seattle, and its manufacturing and product teams are in Vancouver, Washington. Blokable makes structures it calls “Bloks” to be used in infill developments or those in vacant or underused urban locations. The products are designed to be “plug-and-play buildings,” outfitted with electrical and plumbing systems as well as appliances and fixtures. Units range in price from $58,000 for unpainted units with no installed fixtures up to $85,000 for a fully outfitted unit. The Bloks, made at a Vancouver production facility, come in sizes ranging from 18 to 34 feet in length and are priced at $150 to $350 per square foot. The units are designed to serve as stand-alone housing or can be connected as modules to create different configurations and stacked like Lego pieces to create buildings up to five stories high. Different materials and finishes, with multiple price points, can be used, allowing developers to fit structures to different budgets. Blokable will allow developers of relatively simple housing projects to eliminate a lot of the time and costs that go into design and customization. Holm came up with the idea while at Amazon, where he was a product manager for the Amazon Go and Amazon Books brick-and-mortar retail businesses, and saw the time and expense of designing and constructing even simple projects. “For a lot of projects, this is not the best way,” he said. 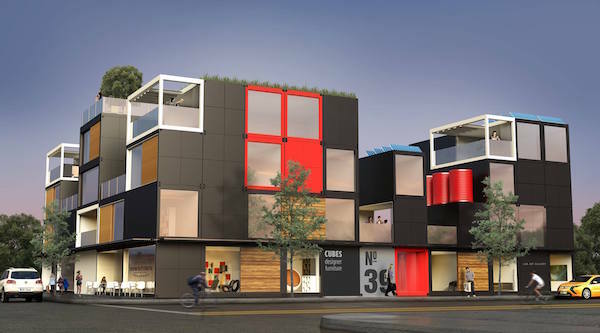 Blokable said its first units will be delivered in the fall in Washington, California and Utah for a range of affordable, workforce and student housing.